BAM has to guarantee the safety of their employees on the construction site. It’s an important aspect in the daily work routine. BAM has hired DTT to develop an app, to enable users to report an unsafe situation via mobile devices and desktop. 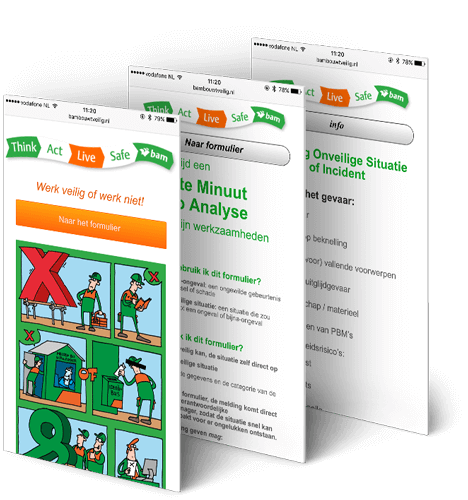 With this web-app solution users can now report an unsafe situation by sending a report (including a picture) directly to the BAM safety directors. This web-app is an effective solution to replace the paper reporting form. The web-app is user friendly for workers at the construction site and at the same time it contributes to a more efficient and effective administrative process. For more detailed info about BAM, visit their website. Safety on and around the construction site is an important issue for BAM Utiliteitsbouw and Royal BAM Group. To emphasize this, BAM Utiliteitsbouw has introduced the "BAM builds safe" web app. 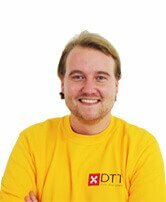 In co-operation with DTT the web-app was worked on with enthusiasm and realised in a short amount of time. The design and the development of the web-app was a rush order. DTT has delivered a complete and fully operating solution. Our compliments to DTT and their proactive and flexible approach. DTT blog: BAM builds safely is online!